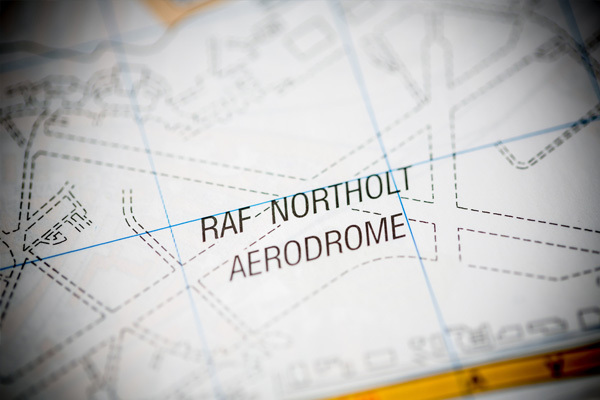 RAF Northolt should be opened up to scheduled commercial flights as the new government stalls on deciding which London airport should be awarded a new runway. The fresh call comes from the boss of Flybe who claims this would give the UK regions “immediately enhanced access” to the capital and to long haul connections at Heathrow, six miles away from Northolt. The regional airline’s chief executive Saad Hammad warned that building a new runway at either Heathrow or Gatwick would take well over a decade to implement. Hammad, who has long been campaigning for the opening of Northolt, claims the new government has been presented with an “immediately actionable solution” that would enhance regional connectivity to Heathrow and London at no additional cost to the taxpayer. Hammad added: “No one knows when the government will get round to making a decision on south-east runway capacity. When it does, it will be at least ten years before any incremental runway capacity becomes a reality, even in the unlikely event that either airport in contention unreservedly accepts the government’s decision and not delay the start of construction through lengthy legal challenges. “Flybe has long been proposing to the government that it open up RAF Northolt to scheduled services. This would give the UK regions some of the immediate connectivity benefits of a new south-east runway with none of the environmental disadvantages. “We also estimate it would contribute an additional £7 million annually to the government in landing fees and Air Passenger Duty. “Sadly, however, the Ministry of Defence has rebuffed our proposal to-date, but we are keen the new PM reviews the case for RAF Northolt. “We really believe it would be a win-win solution for all – the only people who would lose out are the wealthy few who fly in and out of there in noisy private executive jets.